Is it possible to leave a piece of you wherever you go? Violet Mackerel thinks so in this fourth illustrated chapter book of a charming series. 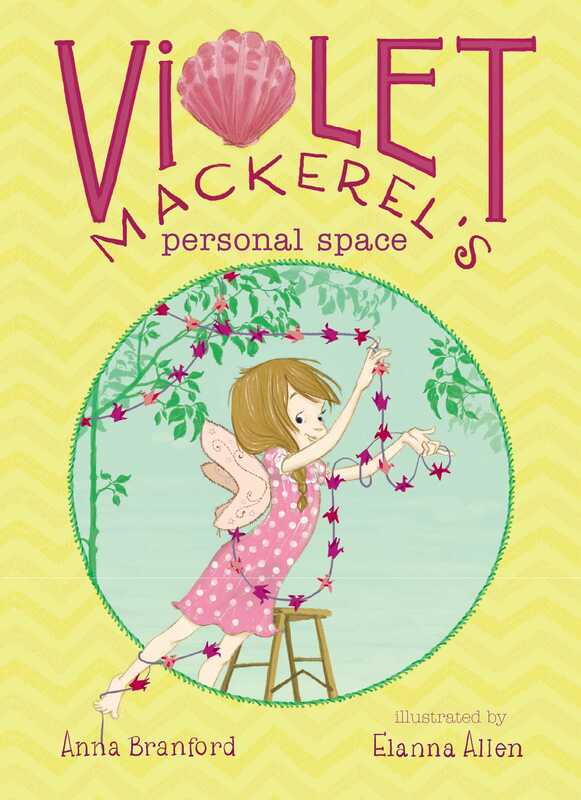 Violet Mackerel believes that wherever you leave something small, a tiny part of you gets to stay too—like how the little piece of green sea glass under the mattress at the beach house means that a little piece of Violet gets to stay on summer holiday. Violet’s theory is put to the test when Mama and Vincent announce some very special news: They are going to get married. And they are all going to move. Violet is excited for the wedding, but Dylan is angry about the move. Normally, it is nice to be inside with your family when there is a big noisy storm outside and there is pumpkin soup for dinner and something on TV about penguins. But it is hard to enjoy it when your brother is outside in the garden in a leaky tent. When Dylan won’t budge, the wedding preparations feel a bit sad. But just in time, Violet thinks of the perfect way to help Dylan feel better about moving. And her Theory of Leaving Small Things Behind is going to come in handy! Violet Mackerel is on a summer holiday at the beach with her sister, Nicola; her brother, Dylan; her mama; and her mama’s boyfriend, Vincent. It is nearly the end of the holiday, and Violet is wishing it was still the beginning. At the beach house where they have been staying there are bunk beds. Violet has been sleeping on the bottom bunk. She has tucked a sheet under the mattress of the top bunk and dangled it down, so it is a small personal space of her own. You can’t do that with an ordinary bed like the one at Violet’s normal house. It has to be a bunk bed. It has been quite a good holiday. Violet likes Vincent making pancakes for everyone each morning. She likes going for walks to look in rock pools and having the sound of the sea in her ears all the time. She likes it after dinner when they roll up their pants for an evening paddle and their pants get wet anyway and no one minds. And since no one has to get up at any particular time, no one has to go to bed at any particular time either, so they sit up late on the veranda, chatting and burning citronella candles to keep the mosquitoes away. On the last morning of the holiday, everyone puts all their things back in their suitcases. Violet takes the sheet down from the bunk bed and folds it up. One minute it looks as if her family actually does live in the beach house, and the next minute it looks as if they have never stayed there at all. Mama says, “Before we go, let’s all have one final check and make sure we haven’t left anything behind.” So everyone has a look behind the couch and in the little cupboard in the bathroom and under the coffee table. Violet thinks she might pull up the corner of her mattress and have a look under that. There is a row of flat wooden slats with little spaces between them. And in one of the spaces there is a small pink shell. It isn’t one of Violet’s shells. She has collected lots of shells, but they are packed carefully in a box in her suitcase with the pieces of sea glass she found on the beach. This pink shell has been left there by someone else. Violet wonders who it could have been. Maybe it was someone else who slept on the bottom bunk and didn’t want to go home. Maybe they left the small pink shell behind on purpose. This thought gives Violet a good idea for a new theory, the Theory of Leaving Small Things Behind. The theory is this: Maybe wherever you leave something small behind, a tiny part of you gets to stay too. Violet opens her suitcase, finds her box, and takes out a little piece of green sea glass. She presses it into the space beside the pink shell and covers it all up again, smoothing the mattress. No one sees. “Finished,” calls Violet, going to join the others. She puts her suitcase next to Mama’s in the trunk of the car. Before they leave, she has one last look at the room. It looks exactly the same as it did before she stayed there. But it is not. Somehow this idea makes Violet feel a bit less sad about the summer holiday being finished. It is a long drive from the beach back to her house, so she has lots of time to think about her new theory and about all the places she might like to leave small things. She would like to hide a sequin up the Eiffel Tower and bury a little glass bead somewhere in the African wilderness and slip a silver star under a stone in an Egyptian pyramid. It will be like a little trail of Violet all throughout the world. "The thoughtful protagonist of Violet Mackerel’s Brilliant Plot (2012) first develops her Theory of Leaving Small Things Behind when her family leaves the beach house where they’ve spent a lovely holiday. Then her mother and her boyfriend, Vincent, announce their plans to marry and move to a larger place. Violet’s excited about the wedding but nervous about the move. Her older brother, Dylan, wanting none of it, relocates to a tent in the garden. The third-person, present-tense narrative convincingly sticks to Violet’s point of view as she and her family negotiate this tricky time.... It is no small thing for a 7-year-old to cope with change. 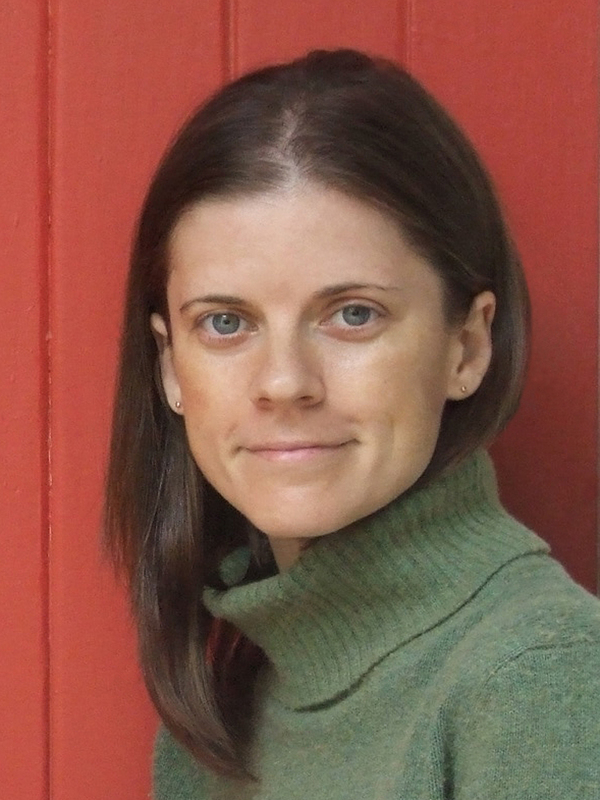 Branford offers chapter-book readers an appealing model." "Mama and her boyfriend, Vincent, are getting married. Planning for the wedding is fun, but looking for a new house is divisive. Whereas the previous book, Violet Mackerel’s Natural Habitat (2013), explored Violet’s relationship with big sister Nicola, it’s brother Dylan who comes to the forefront this time. His anger about the move is distressing to Violet, but it allows her to try out one of her new theories in an attempt to bring him round. With its gentle wisdom and sincerity, this series has made a space for itself among early chapter books, and hopefully there are more Violet Mackerel books to come."